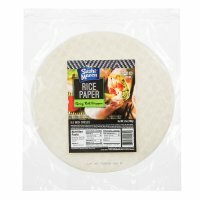 Sushi Maven Rice Paper 100 grams [SMRPRET] - $2.89 : SushiMaven.com, Your Source For Everything Sushi! Rice paper is extremely versatile and can be used in any culinary creation. Use them to wrap anything from sushi to salads or meats for an appealing presentation! Rice Paper is also a wise choice if you're health conscious. 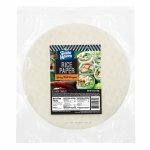 Crafted out of the finest rice available, Sushi Maven Rice Paper is only 35 calories per sheet! 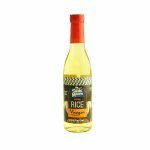 Sushi Maven Seasoned Rice Vinegar 12 oz.